What resources do you use to pass FAA tests? Who offers the best training? Wondering what company (or companies) do you think has the best resources for training to pass FAA tests? Why? Do you like to teach? Are you a natural at working with people of all ages? IF YOU SAID YES, WE NEED YOU! VATSTAR, the ONLY standalone ATO authorized by VATSIM to provide P1-P5 certifications, is in need of superstars to continue to provide the most up to date, realistic, top level training to the beginner to the real life pilot! Please go to our website: www.vatstar.site and click on "CAREERS" on the top ribbon. There you will click on "APPLY" and select the "Instructor" to fill out your application. Are you looking for a challenge? Do you own a copy of Microsoft FSX (Boxed), FSX-SE or Prepar3D? 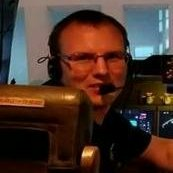 Do you hold VATSIM P2 and P3 ratings OR have real-world flying experience? If so, BAVirtual would like to hear from you! We currently offer training towards VATSIM ratings P1, P2 and P3 and have a P5 course launching early this year. As such, we're looking for enthusiastic and knowledgeable simmers to join our team of volunteer instructors! Our Initial Flying Training course is based largely on the real UK PPL syllabus with a focus on VFR navigation, principles of flight and basic general handling. It results in VATSIM P2 and P3 ratings for the student, and we’ve had a glowing review from the VATSIM PTD with lots of praise for the quality of our material and instruction. As you might imagine, interest from students is high and we’ve got quite a waiting list building up! So I’m looking for more instructors to come on board and join our little team. Our instructors work one-on-one with students, delivering live flight instruction via JoinFS Shared Cockpit. The role would be ideally suited to someone with real-world flying experience at PPL or greater level looking to give something back to the FS community, but I’m just as keen to hear from enthusiastic amateurs (like myself!) -- commitment and a passion for helping others are the main criteria. In return, you’ll have a fantastic, rewarding experience -- there’s no feeling quite like that moment when you figure out the cause of a student’s struggles, show them how to fix it and see them “click”! It’s a great way to meet other like-minded people, give something back to the community and further develop your own skills and knowledge. We naturally provide a full suite of instructor support materials, lesson plans and resources to help you and your students get the most out of the course. Our team is incredibly knowledgeable and contains a vast amount of real and sim flying experience. Our standards are high, but we’re committed to helping you develop and succeed as an instructor, we’re an incredibly supportive bunch and we have a lot of fun together as well. If you think you might be interested -- no need to commit to anything immediately -- you can PM me here, or drop me an e-mail to training (at) bavirtual dot co do uk. I'm also interested to hear from anyone with a VATSIM P5 rating or relevant real-world experience who would be interested in instructing on our new multi-engine instrument rating course. I look forward to hearing from you! I created a two part video tutorial on the "Go Around" procedure for the 737NGX. I have just released it on my YouTube account (the links are below). Part I is the ground school portion, done using a Power Point presentation type of format. This covers everything for the classroom instruction. Part II is a video of flying the PMDG 737NGX on an ILS CAT III autopilot approach and then doing a go around at my Alert Height (AH) of 273'. I'm flying into the Las Vegas airport, starting on the downwind leg. There are two items with the KEPEC THREE arrival I am flying that will require me to modify the two standard Boeing ILS procedures: (1) Because I have a speed restriction on one of the downwind waypoints, I have to fly my localizer intercept heading (the base leg) at flaps 15 vs the normal flaps 5 and (2) because this arrival turns me onto final 25 miles out, I have to intercept the localizer using VOR/LOC vs APP. When I get in closer to the airport, I switch over to APP mode and then I get my G/S arm annunication. However, all of that being said, if you don't want to watch the downwind leg, the base leg and the initial localizer inbound leg, then you can just fast forward to the part where you see LAND3 in the PFD. From that point on, it doesn't take too long to get to the go around part. Part I YouTube link: https://www.youtube.com/watch?v=I9apk-uwt3c Part II YouTube link: https://www.youtube.com/watch?v=Sy1vq04rhU4 I hope you enjoy the tutorials. New video tutorial series: "How To Fly A Perfect ILS"
I'm releasing my next video tutorials in my Basics Boot Camp Series called "How To Fly A Perfect ILS". I've been contacted by several flight simmers asking for a video tutorial on how to fly a good ILS approach. They tell me speed is the number one problem for them when trying to fly an ILS. They are coming in to intercept the localizer too fast and they don't really know how that happens. In some cases they are coming in to intercept the localizer at 250 kts. I hope these video tutorials solve those speed issues and perhaps, some other gray areas as well. This ILS video project has turned out to be much bigger than I originally thought. Many of you have been emailing me asking "is it done yet?" "It is done yet?" Yes, I'm behind schedule but honestly, I have spent most of my time for the last 7 days creating, recording, editing and trying to finish up this ILS series. A lot of video re-recordings, a lot of video production editing, etc. My training standards are very high and all of this takes time to produce. But it's all worth it because I know all of the new flight simmers appreciate the end results. Now that I have uploaded this information to this post, I am going to take a couple of days off and rest up before starting work on Part 4 of this ILS series! So, back to the videos. This is a multi-part video tutorial: YouTube links are at the end of this post. Part 1a - the Ground School basics on how to correctly set up for the ILS approach. Part 1b - the Ground School basics on how to correctly set up for the ILS approach. Part 2 - PMDG 737NGX simulator demo, flying a Boeing standard ILS. Part 3 - PMDG 737NGX simulator demo, flying a non-standard ILS. Part 4 - a bonus flying demo. I am releasing parts 1 through 3 now and I will be adding this part 4 flying demo over the next few days. Note that the ground school Part 1 has been broken down into two parts: Part 1a and Part 1b. I thought I could do the ground school Part 1 video in one shot but it got kind of long, so I decided to split it into two parts. I want to say a big thank you to my three helpers: Spin737 (Matt Colles) made several suggestions on changes to reflect real world flying. scandinavian13 (Kyle Rogers) checked the video for technical accuracy. Kyle thanks for your technical review. Everyone appreciates the depth and breathe of your experience on the 737NGX in this forum. efmartin (Eric Martin) checked the draft video and made several suggestions for better clarity on some of the topics. All of their suggestions were implemented. This collaboration process helps to ensure that what you all see is technically correct and reflects what a real 737NGX pilot does when flying. If you have any questions or comments after viewing these video tutorials, please PM me here or email me at the email address shown in the opening screen of the Part 1a ground school video. I hope you all enjoy viewing these ILS video tutorials. YouTube links: Part 1a - https://www.youtube.com/watch?v=to2mWqp4kNU Part 1b - Part 2 - https://www.youtube.com/watch?v=jU5zcxgXUO4 Part 3 - https://www.youtube.com/watch?v=EKD8H5-SkUQ Part 4 Coming soon! Teach VoxATC to Speak - Is It Possible? There are many options in VoxATC to fiddle with and it is very wise to spend time training with the program. I did about six flights where I loaded up the flight plans in the flight plan trainer and went through all the lines. I don't have to do that anymore. It pretty much knows what I am saying now and I can even change the tone of my voice and sound more natural when talking to it and it will take my commands. My problem that I have and I wonder if there is a way to fix this, is to make VoxATC pronounce locations correctly. Example; I take off from Dallas Love Field a lot and one of the centers I pass through is Fort Worth Center. It is abbreviated FT Worth. VoxATC likes to say "F T Center" rather than "Fort Worth Center". Is there a way to train VoxATC how to pronounce things like this correctly? It's REALLY bad about pronouncing VOR stations. Hello everyone, I'm releasing the first phase of three phases of 737NGX MCP training videos. The first phase covers the Pitch Modes and is made up of 9 videos. They are now being uploaded to my YouTube Channel: https://www.youtube.com/user/rfresh1011 Start viewing with MCP 1, then MCP 2, then MCP 3, etc. Since I'm estimating there will be approximately 20 videos in total for this series, you probably should write down which ones you have viewed so you don't get lost. Me and my review team are now working on the Roll Mode videos and those will be released in 3 to 4 weeks. After the Roll Mode videos are released, we will finish up the series with the Misc MCP modes and switches. As always with my Basics Boot Camp Series, these are all being made available free of charge. If you have any questions or comments please email at the address shown in the videos. Thank you for your support and enjoy...!!! Guys, I 'm looking into upgrading to P3D, and I was asking myself why they claim the sw is for training and not for gaming. In what way? I would be using the sw for training only, but didn't understand what differences are there between, say, FSX and P3D in relation to training. More customizable in terms of failures, weather...maybe? I will use it to run PMDG 777 Anyone willing to explain this?